Marshal Soult re-entered Spain to defeat Wellington’s army in detail and rescue the besieged garrisons of Pamplona and San Sebastien. The plan relied on speed. Soult, with the main force, attacked Cole’s division at Roncesvalles Pass. 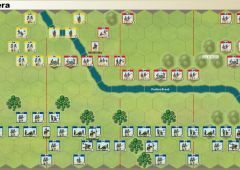 Cole, along with Picton, retreated and when Cole did stop, he picked excellent defensive terrain, opposite the village of Sorauren. 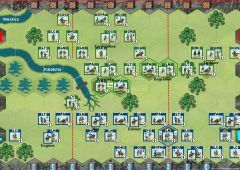 Soult followed and initially had the numbers to win, but ironically, on the 27th, when Soult’s vanguard made contact with the British at Sorauren, he did not attack. 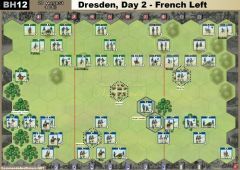 Next day, after a violent night’s thunderstorm, Rielle’s French corps arrived, and Soult thought he now had the numbers needed to fight, but the British had also received reinforcements. The French attacked first on the right. 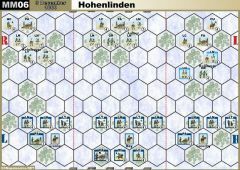 Conroux advanced to gain the flank of the British on the heights, but was caught in a three-way crossfire and the battered division was forced back to Sorauren. Clausel’s other divisions assaulted the British and Portuguese on the Oricain Heights with some initial success. 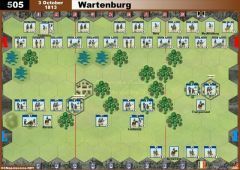 Wellington, aware of the deteriorating situation, ordered Stubbs and Lambert to counterattack. Their onslaught sent the French columns reeling back down the slopes. 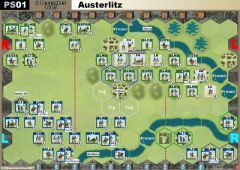 The battle continued on the French left with Rielle’s attack. 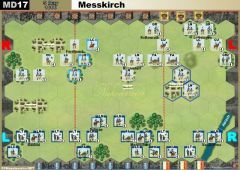 Maucune’s initial attack against Anson’s brigade failed, but the second French attack took Spanish Hill when the Spanish broke and allowed the French to gain temporary possession of the hill. Byng’s British brigade countered with support from the British artillery and managed to retake the hill. 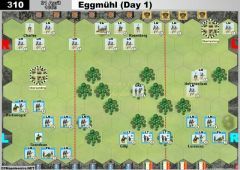 Although daylight remained, Soult’s realized he could wait no longer for his artillery train and cavalry that were caught up in the mountains and ordered a withdrawal. 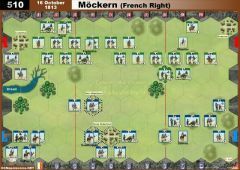 • The 13 hill hexes of Oricain Heights form a Temporary Majority Group Victory Banner worth 1 Temporary Banner for the British or 2 Temporary Banners for the French. 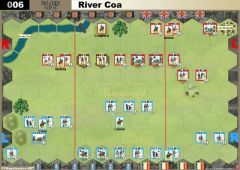 • The Allies gain 1 Temporary Victory Banner at the start of the turn for occupying the bridge over the Ulzama River. 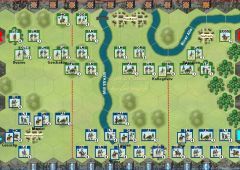 • The 6 hill hexes of Spanish Hill form a Temporary Majority Group Victory Banner worth 1 Temporary Banner for the Allies or 2 Temporary Banners for the French. • The French gain 1 Temporary Victory Banner at the start of the turn for occupying the town of Arleta. • The stream is fordable and the rugged hills are impassable. error : Two french HC is exist. of all the Epic scenarios, this is the one I like the least. 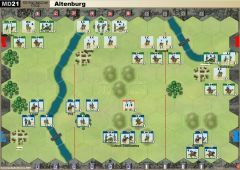 Seems like an all infantry clash, not much artillery and even less cavalry.